Fox Business: Higher taxes the solution to US debt problem? If politicians that make budget cuts area threatened with recalls (ahem, Wisconsin), is there any incentive in Washington for fiscal responsibility? 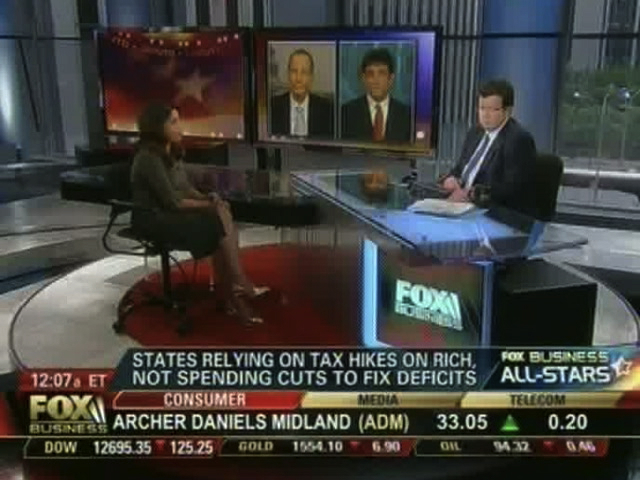 My recent discussion with Neil Cavuto and the Fox Business All Stars on debt, paying it down and finding fiscal stability as a nation. This entry was posted in Uncategorized and tagged fiscal responsibility, Fox Business Cavuto, higher taxes, Monica Mehta. Bookmark the permalink.